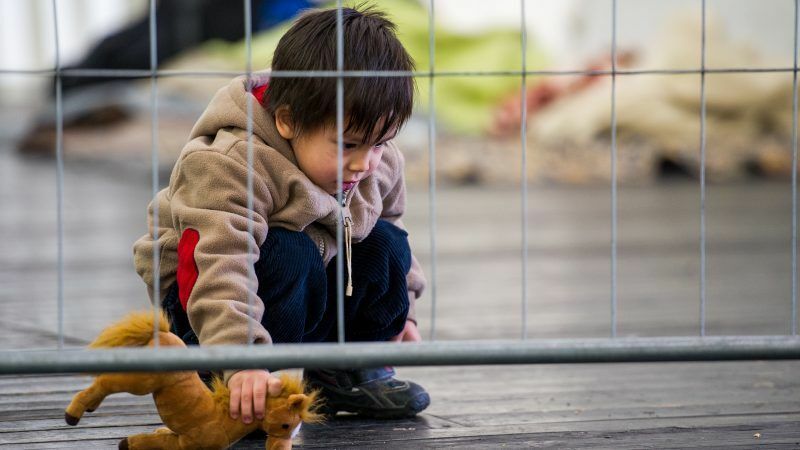 The recent EU mini-summit on migration held on 24 June has reaffirmed more openly than ever before the fundamental dissensions and schism among member states, if not among EU institutions themselves, in the field of migration and asylum policy. A two-speed EU migration policy would be the best solution to keep EU unity, writes Solon Ardittis. Solon Ardittis is the managing director of Eurasylum and co-editor of the ‘Migration Policy Practice’ bimonthly journal. Ahead of the European Council of 28-29 June, it is urgent to examine two fundamental questions dispassionately: should the summit’s outcome, assuming there is a commonly agreed one, merely consist of restating the same self-deceptive principles and rules that have governed, so unsuccessfully, the EU migration solidarity regime over the past three years? And should growing opposition to such a regime by a growing number of member states continue to be disregarded? In other words, are the current principles of a legally binding solidarity and responsibility-sharing regime in the field of EU migration policy adapted to contemporary intra-EU political dynamics and if not, is there any alternative system that could generate consensus among member states? These are essential questions when considering that, in the not too distant future, the number of member states that oppose the current EU migration regime will be in the majority. Some would actually say that they probably already are, when judging from actual measures implemented rather than public discourses. The main issue at stake, clearly, is the distribution of roles and responsibilities for processing entry and asylum requests among member states, and therefore the suitability of the current Dublin rules and the level of acceptance for their proposed revision. Today, few would dispute that the Dublin system has never worked effectively, not only because of its built-in discriminatory principles that place exclusive responsibility on under-resourced countries of first entry but also because of its mechanics. Evidence suggests, for example, that not all member states submit Dublin return requests and that when they do these are not always implemented. This is in addition to the fact that, with the exception of a couple of member states, the number of Dublin cases has traditionally been very modest. Against this background, Chancellor Merkel’s recent proposals for the negotiation of bilateral or trilateral ‘migration deals’ within the EU seems fully apposite. This could consist of a permanent EU Migration Council that would bring together those member states that are willing to share EU responsibility for the processing and reception of legitimate asylum applications, and that would rescind some of the current Dublin rules. This could also be coupled with the opening of centralised EU processing centres, as currently advocated by President Macron, on a number of conditions that would, of course, relate to the establishment of sufficient safeguards in the field of human rights and refugee policy doctrines. The implications of such a remodelled system would be at least twofold. For one thing, they would be financial and would impact the current system of intra-EU aid and resource distribution. One of the most striking aspects of current EU migration policy is that the majority of the member states having opted out of the legally binding solidarity regime are amongst the biggest net beneficiaries of the EU budget. On the other hand, and leaving aside the countries of first entry such as Greece and Italy, the two member states having accepted the most asylum seekers – Germany and France – are on the top of the list of EU net contributors. The effect of this is that member states choosing against membership of the EU Migration Council should be deprived of any future resources under the Asylum, Migration and Integration Fund (AMIF), and of their voting rights in a number of future EU migration policy negotiations. Financial repercussions could also extend, at least in part, to the allocation of EU structural funds. Penalties would, of course, be proportional to the additional costs incurred by opt-in member states, both as regards the level of pledges under the EU relocation scheme and the effects of the non-application of the Dublin rules. Opt-in member states, on the other hand, should, of course, be entitled to a proportionally higher share of the AMIF resources than is currently foreseen under the existing distribution key, and to less contributions to the structural funds, and of course to additional policy prerogatives in the field of EU migration and asylum policy decisions. The financial implications of such a system would not necessarily be damaging for either the opt-in or opt-out member states. For example, the number of Dublin return requests submitted by Germany in 2017 amounted to 64,267 cases out of a total of 222,683 asylum applications. In France, the proportion was of 41,500 Dublin return requests out of 100,412 asylum applications. However, such penalties would carry an important political message. The second implication of such a system would relate to the levels of investments and range of measures to manage the EU’s external borders, both of which would need to be increased substantially independently of the number of current and future agreements with countries of origin and transit. The above system need not be seen as fundamentally disruptive, particularly in light of the EU’s institutional history. What is often overlooked by most commentators today is that old-time member states such as Denmark and the United Kingdom, in particular, have consistently opted out of a range of provisions in the area of EU home affairs, the Schengen acquis and the Charter of Fundamental Rights, not to mention several other EU instruments in the fields of justice, employment and social policy, over the past two decades. More often than not, such opt-outs have been treated indulgently, if not impassively, by most EU actors. And when they have not, they have rarely been conducive to the levels of turmoil that have ensured the adoption of the intra-EU mandatory migration solidarity regime. Establishing a two-speed EU migration policy today seems acceptable institutionally and is probably one of the last resorts for retaining some EU political unity, particularly in a number of other important sectors that have been largely overshadowed by the so-called EU migration crisis since 2015. So if you deprive certain countries of certain finances like AMIF and/or regional funds, it would be acceptable for other countries to accept these migrants, grant them (EU) citizenship and ship them off/encourage them to move on to these countries under the freedom of movement principal? I would hope not but can see how this, as in many other areas of disagreements, will encourage a two-tier EU which may probably evolve into a 19 member union. Who knows?